We’re excited to announce for its third year, the Big Rock Barn Burner is heating up our Calgary brewery – this time with a July edition! On July 6, the brewery grounds will be transformed into a boot-stomping outdoor venue with great music, $5 Big Rock beers and ciders, food trucks, and most importantly, you and your friends! 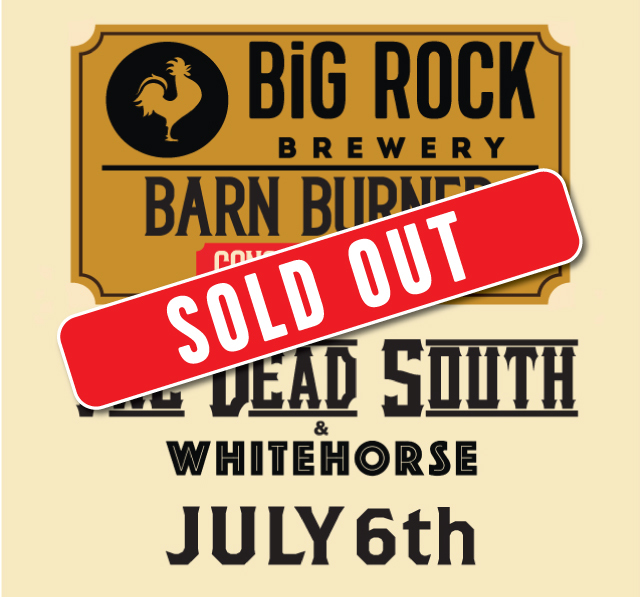 Featuring gritty bluegrass 4-piece, The Dead South, Rock and Roll duo, Whitehorse + guests, and of course, the freshest craft beer in Calgary, you won’t want to miss out on our very first July Barn Burner concert. Yahoo!